The metropolis of Cologne on the river Rhine is the fourth largest and eldest of Germany’s major cities and possesses a history of almost 2,000 years. Every year its unique places of interest, its fairs, the big and small events as well as the feeling of “being home in Cologne” attract more than 119 million visitors on a daily basis. 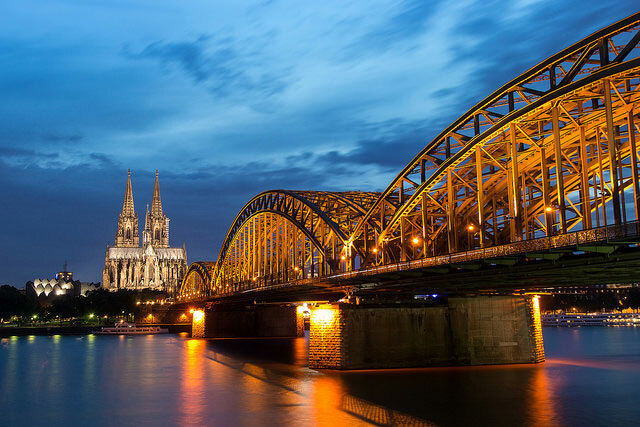 Cologne represents the most important city destination of North Rhine-Westphalia with its 3.3 million tourists and 5.74 million overnight stays. ORGANIZATION // The 2. Rhineland-Senior-Trophy 2017 is organized by alles fussball. SPORTS FACILITIES // Games are played on the sports grounds of the sport club TPSK 1925 e. V. The facilities dispose of two highquality artificial turf pitches on which the small field matches will be played. Changing rooms and showers are, of course, at your disposal. LODGING // From first class hotels to low budget hotels: Everyone will find an attractive accommodation in Cologne in one of its 300 hotels. We will be pleased to take charge of your accommodation. EXCURSIONS // No matter whether you intend to improve your skills or would like to enjoy a cool beer after the football match, Cologne has a lot to offer to everyone. When it comes to art, Cologne is world class: More than 40 museums and far more than 110 art galleries hold top-class works of art from different epochs and nearly all kinds of styles. The Cologne Cathedral – UNESCO World Heritage Site and Germany’s tourist feature number 1 – is the second highest church of Europe with 157 meters of altitude. 533 stairs lead to the pinnacle of the Cathedral, which are climbed by more than 6 million visitors each year. Apart from several other cultural sightseeing spots, a visit of the football stadium “RheinEnergieSTADION”, the home of the football club 1. FC Köln, is a must for every football fan. The many brewhouses in Cologne’s historic city center invite you to a comfortable get-together in the evenings. TRANSFER // Please note that you will have to organize the arrival and departure by yourself. alles fussball does not offer any transfer for this tournament. Whether you arrive by plane, by train or by private car, Cologne has an excellent infrastructure available for all travelers.